One of the most important decisions an author has to make is how much to tell, how much to imply, and how much to show. In fantasy this even more true in creating a secondary/alternate world. For a debut fantasy author it's triply difficult, because no one (editor or consumer) is going to buy an 800 page book from a total unknown. An author, looking through the world he's created and the plot he's weaving, has to start bailing water to offer a manuscript that's tight enough to sell and verbose enough to be clear - no mean feat. I bring this up because I think Mazarkis Williams had more water to bail than the average fantasy debut. Not a criticism, I say that because The Emperor's Knife is incredibly ambitious. Heavily flavored with Persian, Arabic, and Asian influence, it is a riff on epic fantasy with a deep magic system, complex political intrigue, and a complete story arc all contained in well under 400 pages. There is a cancer at the heart of the mighty Cerani Empire. Geometric patterns spread across the skin causing those who bear them to become Carriers - mindless servants of the Pattern Master. Anyone showing the marks is put to death by Emperor Beyon's law. Now the pattern is running over the Emperor's own arms. His body servants have been executed and he ignores his wives - soon the pattern will reach his face. While Beyon's agents scour the land for a cure, Sarmin, the Emperor's only surviving brother, awaits his bride, Mesema, a windreader from the northern plains. Unused to being at court Mesema has no one to turn to but an ageing imperial assassin, the Emperor's Knife. As long-planned conspiracies boil over into open violence, the Pattern Master appears. The only people standing in his way are a lost prince, a world-weary killer, and a young girl from the steppes. That's a complete and utter hatchet job on the plot in an effort to briefly summarize the general direction of Emperor's Knife. I went over to read the blurb on Goodreads and it was six paragraphs long. Is it becoming clear why I said Williams' had a tough road ahead of him? Somehow, the novel comes together in in 346 pages - a commendable accomplishment. Unfortunately, on my second point - making sure everything was adequately explained - I'm not sure it was as successful. Having finished the novel I still don't fully understand the motivations and actions of the novel's primary instigator - the Emperor's vizier Tuvaini. Very little time is spent on the primary system of magic whereby a mage is a vessel for an elemental living side them, and while more time is spent on manipulating "patterns" the why or how of it isn't addressed at all. So the question becomes, is that a problem? The truth is... not really. At the end of the day, Emperor's Knife is a big success, largely on the back of interesting characters and a compelling plot. 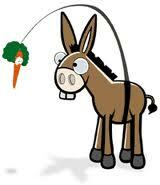 Williams engages his readers in the early moments posing mysteries that demand to be uncovered like a carrot dangling in front of a donkey compels him to walk. The plot is brisk to start before leveling off where we're given an opportunity to come to care about each of Williams' pieces before he brings them back together in devastating fashion. As I mentioned before the tone of the world is very Middle Eastern in a time period reminiscent of the Crusade Era. Through Masema, Williams also brings in a steppes culture that would fit well in a Henry Sienkiewicz novel and hints at far more beyond the borders of his map. Naturally, when an author walks into a culture grounded in male chauvinism he runs the risk of being labeled as such himself. Character's opinions are often attributed to the author, almost always unfairly. Williams manages to avoid this, crafting three very enjoyable female characters only one of which comes off shallow and reliant on the support of men around her. Masema, the central female character, comes off far stronger though some of her romantic entanglements felt rushed - something I again attribute to a need to keep things tight in a novel whose scope would seem to predicate otherwise. Reading through the novel and being an active tweeter lead to a conversation with Williams and fellow 2011 debut author Mark Lawrence (Prince of Thorns) about Robin Hobb's Farseer Trilogy. 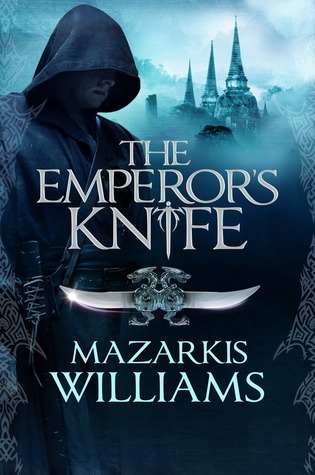 Williams admitted it was one of his favorites so I hope he takes it as a compliment that I saw elements in Emperor's Knife that reflected Hobb's influence. Sarmin (the closest thing to a protagonist) is a character of some similarity to Hobb's FitzChivalery. He disbelieves in himself and struggles with understanding his place in the events that rage around him. Farseer fans will also notice that the Pattern Master's Carriers call to mind Prince Verity riding along through others' eyes to interact with and bear witness to events far from him. If it is an homage, it is well done, although I suspect mere coincidence is more likely. Had I not had the conversation prior to reading the novel, I doubt very much I would have made the connection. Despite some unevenness that manifests in the form of esoteric scenes and absent or unclear foreshadowing, Emperor's Knife is a well imagined, well plotted, and [mostly] well executed addition to the epic fantasy codex. While it's satisfying as a standalone work, the fact is well advertised on the book's cover that The Emperor's Knife the first installment in The Tower and Knife Trilogy. If Sarmin returns he has an opportunity become an iconic character and I hope he gets that chance. More emphatically, I hope that Williams will continue to explore some of the details that were left out in his debut; the lack of which will hold me back from putting this near the top of my best of 2011 list. I said it at the beginning, and I'll say it again, this is an ambitious debut novel. Thankfully, it's also a novel that demonstrates great deal of promise in its author. I for one very much look forward to the sequel and Mazarkis Williams' continued growth as a writer. The Emperor's Knife will be published in the UK on October 27 by Jo Fletcher Books and in the US on December 6 by Night Shade Books. Nice review Justin, I read the book a while ago & while I share your thoughts on the magic system and Characterization. I felt the final reveal about the antagonist was a bit light. But of course I'm sure there'll be much more stuff revealed in the sequel. Like you said, an ambitious endeavor and one in which Mazarkis was successful in giving the reader quite a different read. Yes, I agree that the end reveal was sudden. That's sort of what I was getting at with the absence of foreshadowing. I kept wondering who the PM was going to be because there very little information to glean anything from.